Our next destination is Japan. 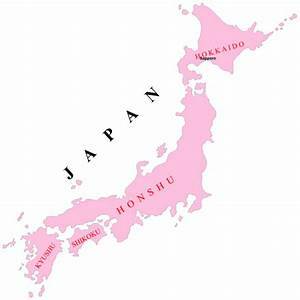 And, more specifically, since Japan is made up of four main islands as well as several chains of smaller islands, we will focus only on the main island of Honshu this time around. Honshu is the seventh largest island in the world and second only to the Indonesian island of Java in population. 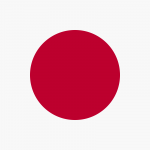 It makes up sixty percent of Japan’s land area and is home to 104 million people. It is where most of the largest cities are to be found as well as a large percentage of the cultural-historical sites. Add to that the iconic Mt. 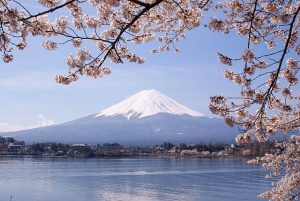 Fuji, and a number of national parks with some of the most stunning scenery in Japan, and it becomes apparent that there is a lot to see and do on this island of 89,000 square miles (Smaller than Michigan, but larger than Minnesota). Of course Japan has all kinds of history, which will be a fascinating topic to explore, and the cuisine and cultural traditions could take up volumes, so we will do our best. 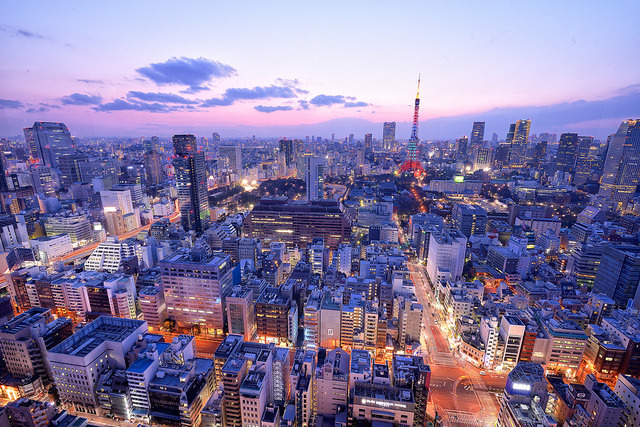 Tokyo is well known as the capital of Japan. It is located on the eastern (Pacific) coast of the island and is part of the Tokyo-Yokohama metropolitan complex which includes three other major cities, Yokohama, Japan’s second largest city, Kawasaki and Chiba, as well as some islands and other suburbs. It all adds up to make the area the most populous metropolitan area in the world. It also has the distinction of having the largest metropolitan economy based on GDP in the world and is second to New York City in terms of urban landmass. 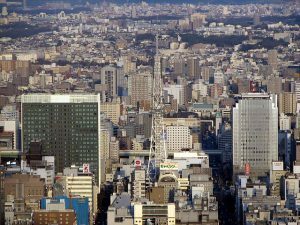 It is quite impressive to consider that Tokyo was named the most safe large city in 2015. Originally named Edo, Tokyo, which means ‘Eastern capital’, became the capital of Japan in 1868 when it was moved from Kyoto. It is the seat of government, location of the Emperor’s palace and, with the fourth largest number of skyscrapers in the world, is a mind blowing combination of ultra modern and traditional sights and architecture. 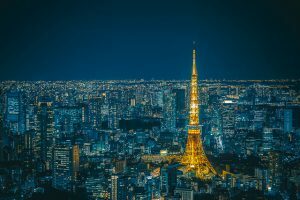 Obvious highlights would include the Tokyo Imperial Palace, home of the Emperor, and The Eiffel inspired Tokyo Tower, from which unforgettable views of the area can be had. The Osaka-Kobe metropolitan area is likewise a conglomeration of large cities. Kyoto, Osaka and Kobe combined add up to a population of around 20 million people. Kyoto, the former capital, was spared from bombing in World War II and therefore draws many visitors who come to admire its old streets and architecture. 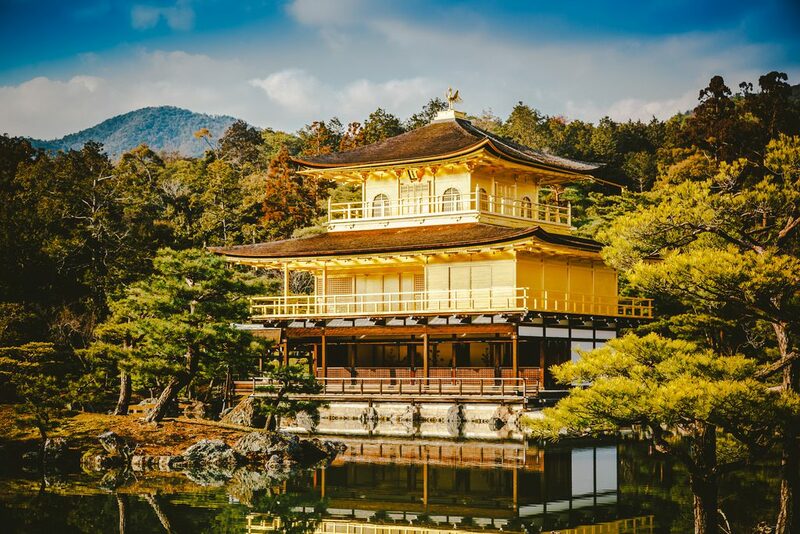 Kinkaku-ji, or the Temple of the Golden Pavilion was built as a retirement home for a Shogun in the 14th century. It was rebuilt after it burned down in 1950 and is covered in gold leaf. Other highlights of this metropolitan area include the Kiyomizu-dera Buddhist Temple built in 798AD and the Osaka castle, one of Japan’s most famous attractions. Nagoya is the third largest city and Japan’s largest and busiest port. 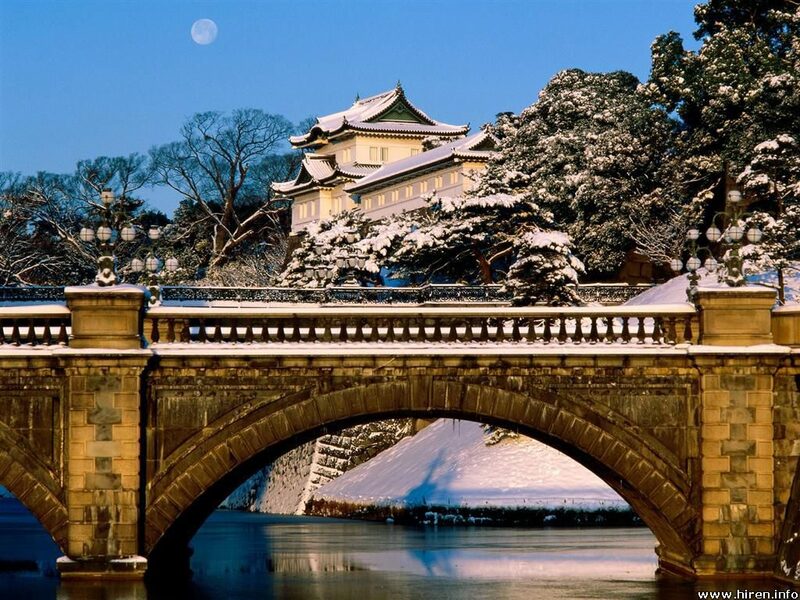 It is home to the most important Shinto shrine, the Atsuta Shrine, ans well as Nagoya castle. Every year around 200,000 people climb Mount Fuji, which is a symmetrical, snow capped, active volcano. 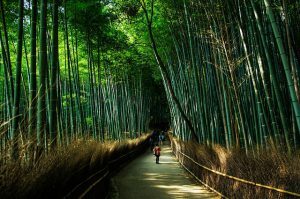 It is part of the Fuji-Hakone-Izu National Park, a mountainous and volcanic area, and is located about 62 miles southwest of Tokyo. Lake Biwa, Japan’s largest freshwater lake, is located close to Kyoto. It measures around 260 square miles and is popular for its beaches, islands, lake cruises and hiking. Or, you can do the 140 mile bicycle ride around the lake, which is surrounded by temples, shrines castles and Japan’s oldest train station. The ‘Japanese Alps’ cut through the center of Honshu and are comprised of the Hida, Kiso and Akaishi mountain ranges. Some of the most beautiful scenery in Japan is at the Valley of Kamikochi in the Hida Mountains. It is part of the Chubu-Sangaku National Park and is sometimes called the Japanese Yosemite. The northern tip of Honshu is where the unspoiled beauty of the Towada-Hachimantai National Park is to be found. Volcanic features such as boiling mud pools and vents can be found at the Hachimantai Plateau, as well as the crater lake, Lake Towada. The region is also well known for its health spas. 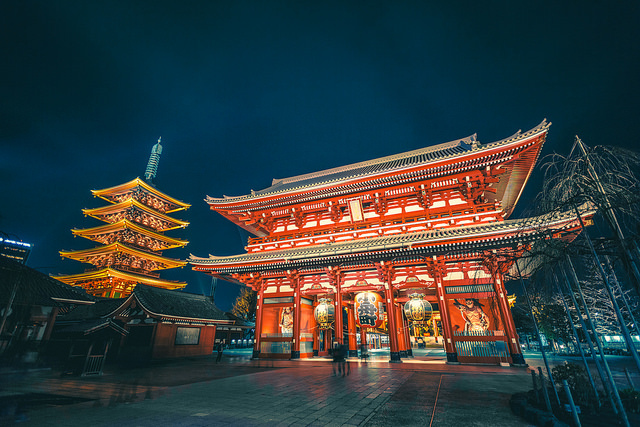 Other popular destinations include the Todaiji Temple at Nara, the world’s largest wooden building which also contatins the largest bronze Buddha statue, the Great Buddha of Kamakura, made of bronze ca. 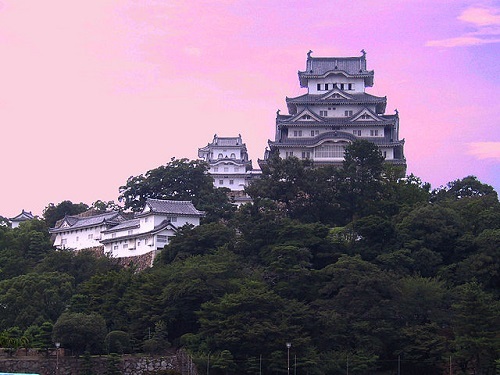 1252 and weighing 93 tons, the Jigokudani Monkey Park and Himeji Castle. Honshu island is connected to the other large Japanese islands by numerous bridges and tunnels. It is referred to as the Japanese mainland, although it is an island. In March 2011, the island suffered a huge 9.0 magnitude earthquake, followed by a tsunami with 30-foot waves, causing widespread devastation. Several nuclear reactors were damaged as a result and more than 120,000 buildings were completely destroyed. There were 15,894 confirmed deaths and many affected by the disaster are still living in temporary housing. Honshu, Japan’s main island, promises to be a fascinating place to explore as we turn our attention to the ‘Land of the Rising Sun’.